We love how vocal you guys are about your opinions on each and every pasta. We know that many of the writers who submit to use are also craving your feedback, which is why we created crappypasta for you guys to help submitters refine their work. But because we – and the site’s submitters – can always use more information about what sort of pastas you guys love and what sort of pastas you find stale or even a bit moldy, we’ve decided to create monthly Discussion Posts. On the first of every month, we will create a post with a simple question. Your mission, should you choose to accept it, is simply to express your opinion on the chosen topic! Easy, right? 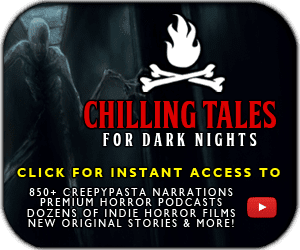 This is your chance to let both any aspiring creepy authors out there – as well as the admins – know all of your creepypasta thoughts and feeeeeels. So get to it and have fun! NOVEMBER 2012: Which Creepypasta Would You Like to See as a Movie? DECEMBER 2012: How Did You Discover Creepypasta? JANUARY 2013: Why Do You Read and/or Write Scary Stories? FEBRUARY 2013: Do You Believe in Ghosts? MARCH 2013: What Do You Most Fear? APRIL 2013: Let’s Talk About Zombies! MAY 2013: What’s Your Favorite Creepy Video Game? JULY 2013: What’s Your Favorite Scary Movie? SEPTEMBER 2013: Which Creepypasta “Character” Is Your Favorite? MAY 2014: Do You Wish Any Creepypastas Were Real? JUNE 2014: What Was Your First Creepypasta? SEPTEMBER 2014: Which Non-Horror Stories Have Creeped You Out & Why? JUNE 2015: Do You Believe in Divination? AUGUST 2016: Which Creepypasta Do You Most Fear? If you have suggestions for a future discussion post, please leave them in the comments. ANY UNRELATED COMMENTS WILL BE DELETED, SO DO NOT ATTEMPT TO USE THIS PAGE AS A CHATROOM OR PERSONAL JOURNAL.